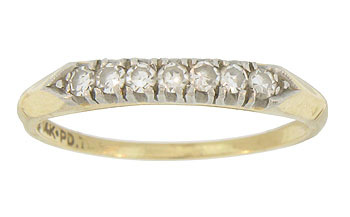 A string of seven dazzling round cut diamonds are set into white gold mounting on the face of this 14K yellow gold vintage wedding band. 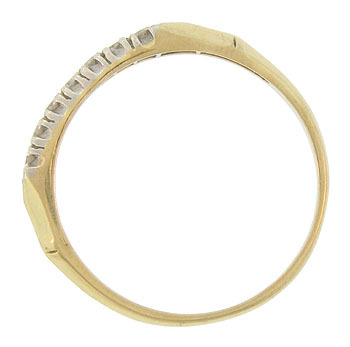 The yellow gold band presses softly down to meet the triangular figures on the rings shoulders. 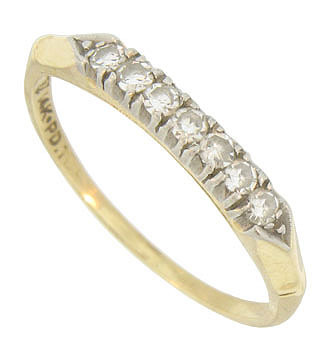 This elegant ring measures 3.08 mm in width. Circa: 1930. Size 9. We can re-size.